Prayer for Marybeth: God, thank you for expressing your love through MaryBeth to her family and community members seeking employment. Thank you for filling her heart with love of her neighbor. When times get tough, fill her with your grace and courage. Bless and strengthen her family and her work. In good times and bad, let her life overflow with the deepest joy that only You can give. Amen. Only a few years ago, MaryBeth and her two children were living on public assistance in a tiny, one-bedroom apartment. At the time, she worked as a data entry clerk but her job was 14 miles from her home, and, she had no car. She depended on the one bus that came in the morning and the one that returned in the evening to get to and from home and work. But many times the bus came late, or she missed her bus connection while bringing her infant son to child care. Though her supervisor warned her about lateness and told her she was in danger of losing her job, she saw no way to correct what she couldn’t control. No matter how early she rose in the morning she couldn’t change the bus schedule. Nor could she change her work schedule. While she knew she could lose her job, she didn’t see a solution. She didn’t have the money to buy a car, and the car she tried to borrow left her stranded and in tears. She felt trapped until she learned about Wheels to Work, a Lancaster County Council of Churches program that sells dependable, used cars below cost to the underemployed. 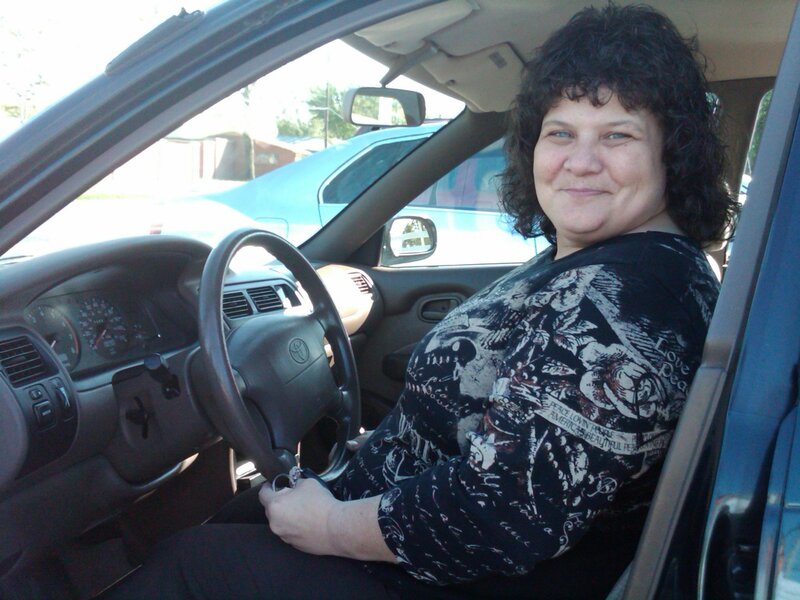 Through the Wheels to Work program, MaryBeth purchased a car. That first Friday night she owned her car, she drove her children the four hours to the Maryland shore. She wanted them to play in the sand, to feel the breeze, smell the salt air, and watch the ocean waves roll onto the beach. “We arrived about midnight and went on the beach,” she recalls, with tears rolling down her cheeks. “ I didn’t have money to stay anywhere, so we all played on the beach for an hour or so. Then we drove home. We all had a wonderful time.” Having this ability to give her children a trip to the beach, even a brief one, meant the world to MaryBeth, and this beach trip also marked the beginning of a new life for MaryBeth and her family. MaryBeth is a member of the Presbyterian Church (U.S.A.) Please join us in wishing a Happy Mother’s Day to MaryBeth Stover and to hard-working mothers everywhere.